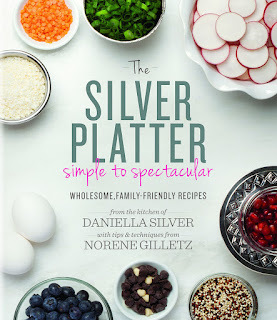 The Silver Platter is a Jewish cookbook, but it's not what you might think of as Jewish cuisine. 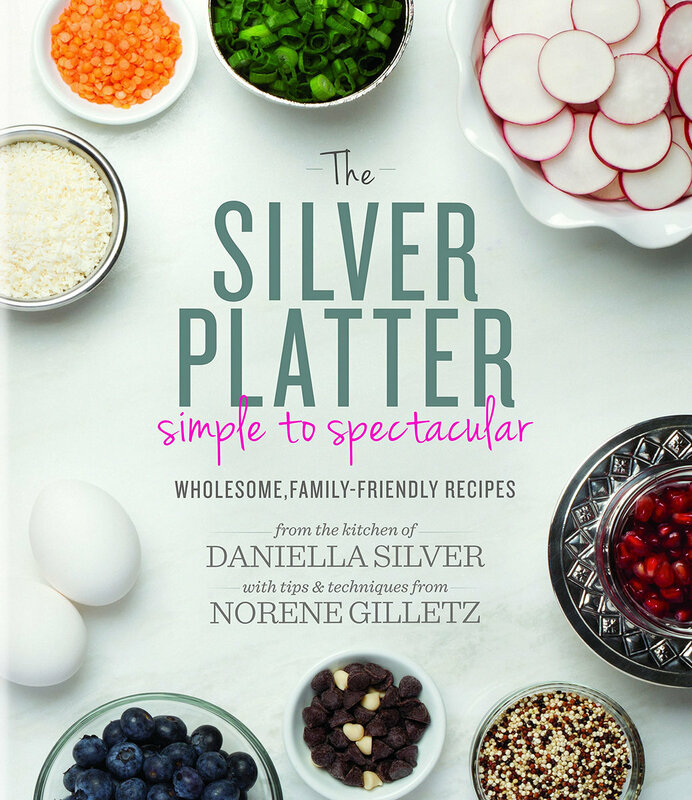 By that, I mean that if you made any recipe from this book and served it to friends and family, no one would identify it as Jewish in particular. They're just good, solid recipes that happen to follow the dietary rules. There are recipes like vegetable soup with spaghetti squash noodles, roasted beets with a lemon-basil dressing, sweet and sour Chinese chicken, apple cranberry couscous, spiced cauliflower ... and of course there are desserts, like almond cookies, flourless fudgy-wudgy cookies, and chewy raspberry oatmeal bars. Deciding on a recipe to publish was difficult - so many great choices. The weather was cool, and brisket sounded like a pretty good idea, but read the recipe before you begin - you need to plan this one in advance. The brisket marinates for at least an hour in the onion-tomato mixture - but hey, you might as well let it rest overnight. Then you cook it. Then you refrigerate several hours - or overnight again. So, if you make this, you could do it in one long day, or you could make it over three easy days. I opted for the three easy days, which meant that the brisket had a lot of time to marinate. The onions get very soft and the sauce gets almost jammy while the brisket is fork tender and the whole thing is insanely delicious. I served it with mashed potatoes and fried green tomatoes for a wonderful comfort food dinner. Typical of me and comfort foods, the food was soooo much better than my photographs. But, hey, you get the idea, right? 1. Coat a large roasting pan with nonstick cooking spray. Add brisket; sprinkle with salt, pepper, onion powder, and garlic powder. Rub brisket with spices to coat on all sides. 2. In a large nonstick skillet, heat oil over medium heat. Sauté onions for 5 minutes, until softened. Stir in parsley, tomato paste, honey, bay leaves, vinegar, and wine. Simmer for 5 minutes, stirring occasionally. Let cool. 3. Pour sauce over, around, and under the brisket. Cover and marinate in the refrigerator for at least 1 hour or overnight, turning occasionally. 4. Preheat oven to 325°F. Bake, covered, for 3-3½ hours or until meat is fork-tender. Calculate 45 minutes per pound to determine the cooking time. Discard bay leaves. Let cool. 5. Refrigerate several hours or overnight. Discard hardened fat from gravy. Trim excess fat from brisket. Slice against the grain to desired thickness. 6. Reheat, covered, in pan gravy at 350°F for 25-30 minutes. Slow Cooker Method: Season brisket and prepare sauce as above; add to slow cooker insert coated with nonstick cooking spray. Marinate overnight in the refrigerator. Place insert into slow cooker; cook on on low for 8-10 hours. Brisket should be cooked "low and slow," with lots of onions. The internal temperature should not rise above 180°F on a meat thermometer; after it reaches 200°F, the brisket will become dry.